BRYAN EATON/Staff photo. Malka Benjamin shows off a mug with three handles to students at the Amesbury Elementary School. 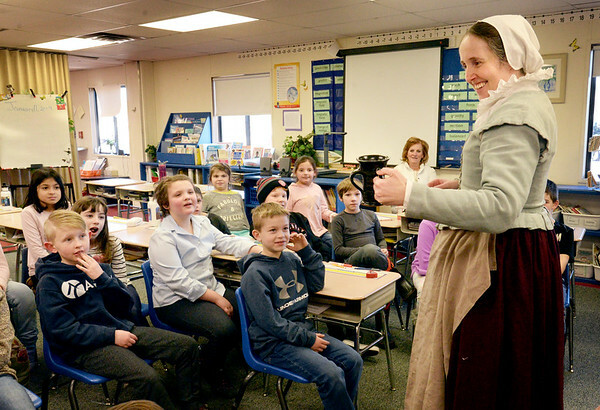 The presenter from Plimouth Plantation was teaching third-graders about life in early America.